Quesadillas are great, don't get me wrong. 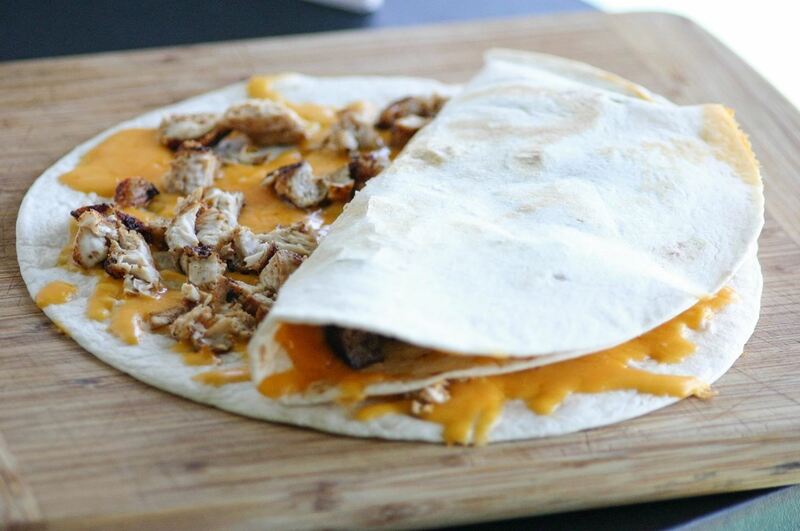 Cheese, tortillas, meat... what's not to like? But I'm going to take a stand: your regular old quesadilla is boring. It's time to step it up a notch and get out of your quesadilla comfort zone. That's why I invented the ultimate quesadilla: three quesadillas combined to form one super quesadilla. I call it "The Tresadilla," but you'll call it delicioso! 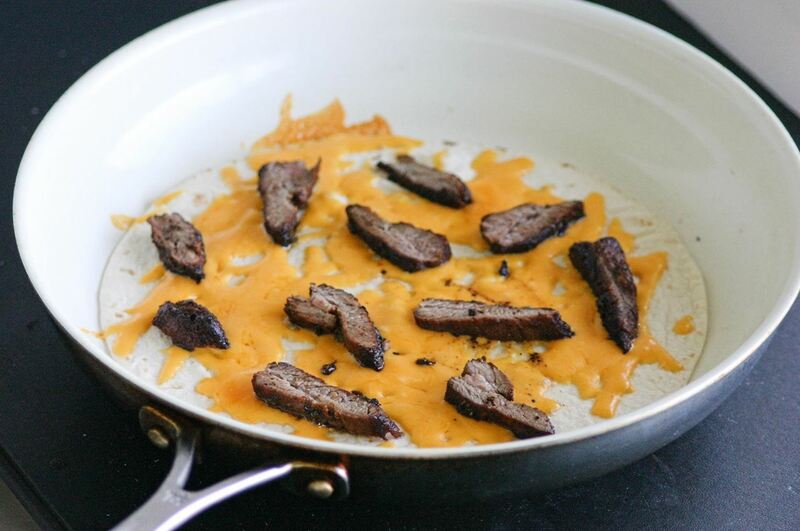 You can cook up steak specifically for this quesadilla or use leftovers. You can also use ground beef if you want to save some money; just be sure to drain off any accumulated fat so your tresadilla isn't too greasy. Place a tortilla in a pan with no fat; flour tortillas work best, but you can use corn or a flavored tortilla, too. Sprinkle shredded cheese on the tortilla, and add some slices of cooked steak. Cook the open-faced quesadilla until the cheese has melted. Remove the quesadilla from the pan, and fold it in half. Repeat the first step above, but substitute chunks of seasoned chicken breast for the strips of beef. Chicken can hold a lot of flavor, so this is the step where you really want to start bringing the Mexican flavors to your tresadilla. Before you put your cooked chicken in its tortilla wrapper, season it up with garlic powder, chili powder, and cumin. After the quesadilla has cooked, remove it from the pan and place the folded steak tortilla on top of it. Fold the chicken tortilla over the steak tortilla. Now, you could stop here and have a dosadilla, but... why? Repeat the process for a third time, but this time omit the meat altogether. 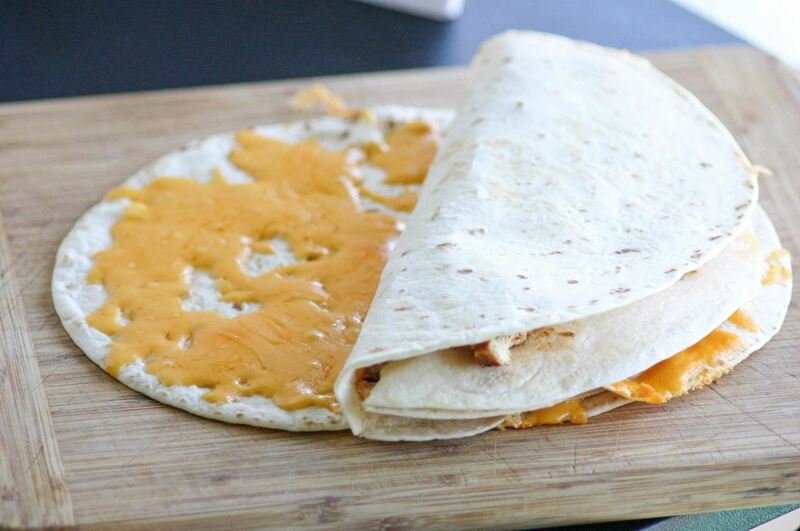 When the cheese is perfectly melted, remove the final quesadilla and place the other two on top of it. 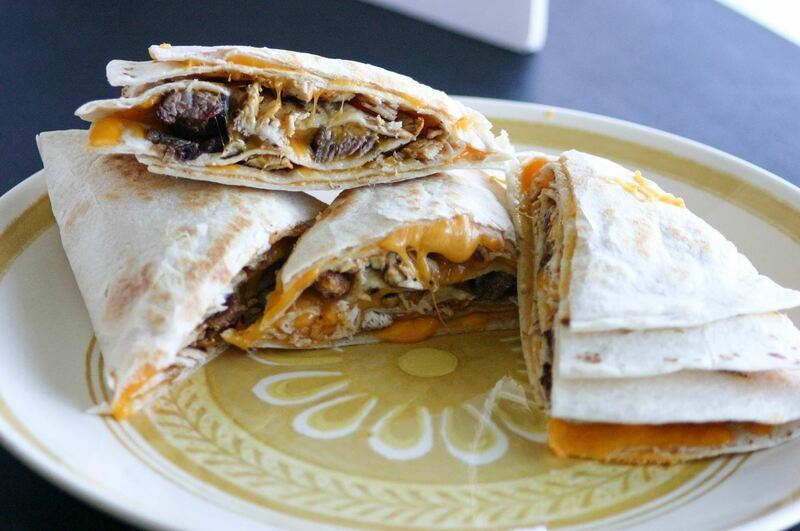 Fold the cheese quesadilla over the other two quesadillas to finish making your tresadilla. Then cut it into fourths, and prepare to have your mind blown. The layers of gooey cheese, juicy beef, and spicy chicken allow you to get all the flavorful goodness in every single bite. Top it with a little salsa, a dollop of sour cream, or some chunks of avocado—whatever you like basically. The tresadilla is good. I mean really, really good. It's a mouthful of Mexican magic that is a meal in itself. And when Taco Bell picks up the idea and sells them for $5 apiece, but you can make them for half that, you'll thank me. News: Game box art - what to regular people think?